Fork Tender Barbecue Oxtails in the slow cooker! 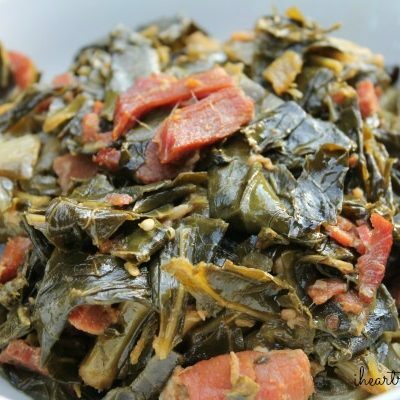 A must have recipe to add to your soul food collection! Who remember’s when oxtails used to be cheap?! I swear, my mom would make soul food style oxtails for Sunday dinner on the regular. My mom would usually smother the oxtails with gravy, and serve them over rice, along with some collard greens, and corn bread. These days, I oxtails are way to expensive for me to have on the regular. 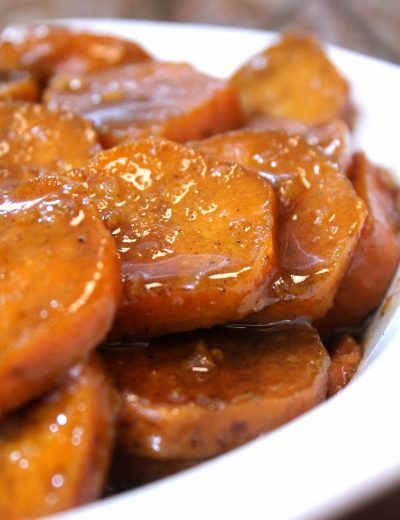 I usually only make them for special occasions, OR if I’m really craving them. Well the other day my son asked me to make oxtails, which is pretty huge because lately he’s only been asking for chili dogs, and pizza ( like most kids). Luckily for him, I had oxtails in the deep freezer. 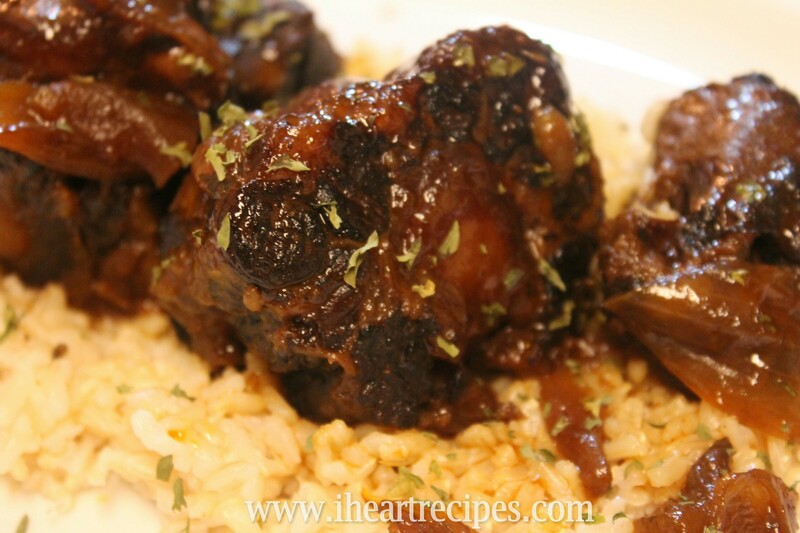 Since my baby requested it, I wanted to make the oxtails super amazing. My son loves everything barbecue, so I decided to make barbecue oxtails. 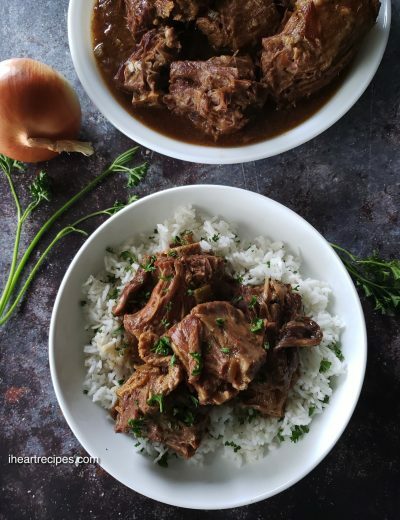 Making these oxtails were super easy, because I slow cooked them in my CrockPot. 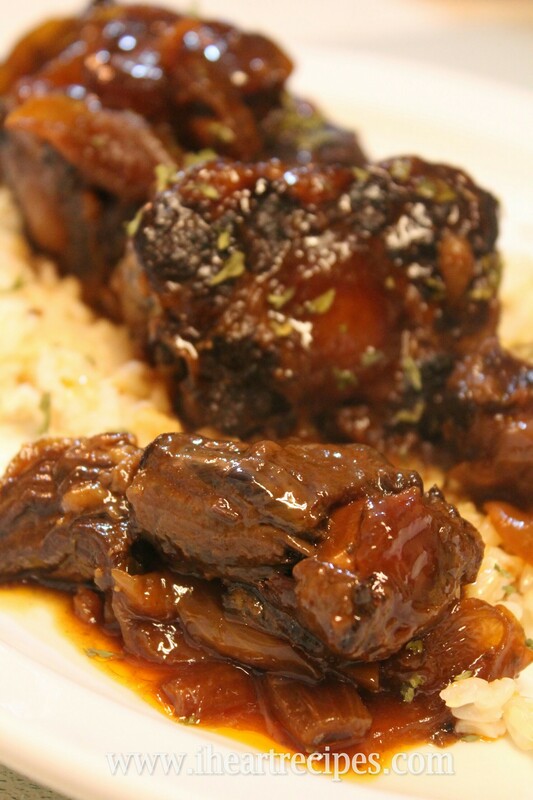 Watch my video tutorial on how to make barbecue oxtails in the slow cooker! Delicious slow cooked barbecue Oxtail made in the slow cooker. 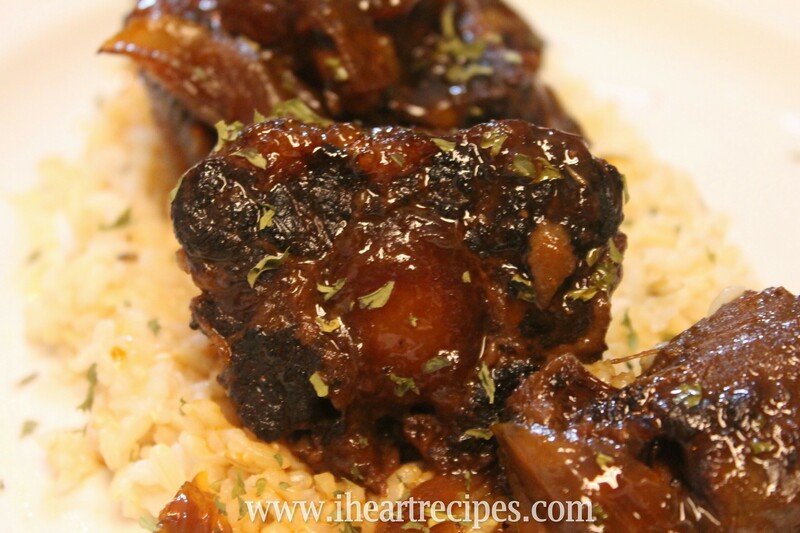 Place the oxtails and onions into a large mixing bowl, then drizzle the oil all over the oxtails. Next make sure everything is nicely coated with the oil, then sprinkle the BBQ seasoning all over the oxtails. Place the oxtails and onions into a large pot, and place the pot over medium high heat. Brown the oxtails and onions, then remove from the pot, and place them into the slow cooker. 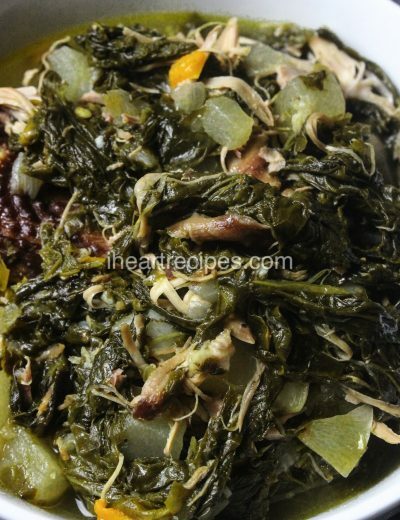 Go back to the pot that you brown the oxtails in, and pour in the chicken broth OR water. Next add in the barbecue sauce, and liquid smoke. Mix everything, an let cook for 5 minutes over medium heat. Pour the barbecue sauce over the oxtails, then place the lid on the slow cooker. Let cook on LOW for 6 hours. Hi, Rosie! 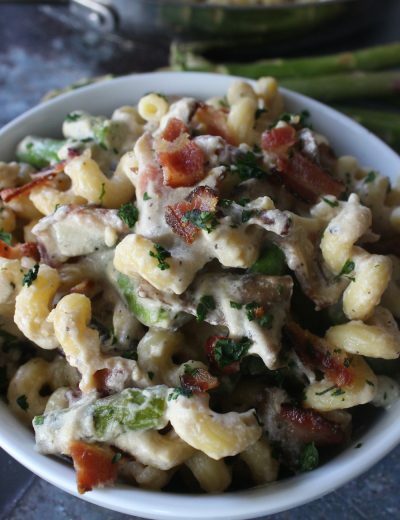 This recipe has me drooling! I love oxtails…my family not so much. This could be the recipe to change their mind. If not, more for me! Pinned. Definitely making! Thanks for sharing. Hi Mary! I love oxtails. There was a time when I was the only person in the house that ate them… Those days are long over. LOL!! Amaaaaazing ! You’ve done it again Rosie :). I’ve been craving Oxtails and this pushed me to buy them to jazz some up, as always thank you. Hi Dibiana! You’re welcome! Thanks for coming by! 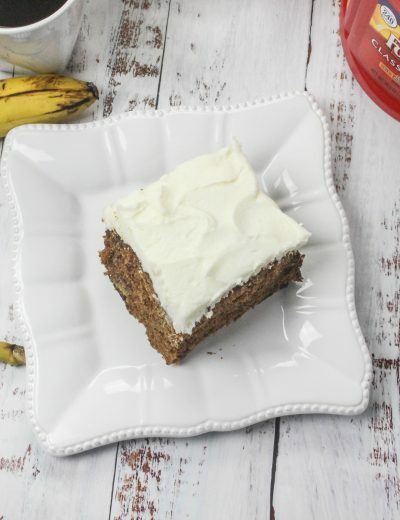 I absolutely love all of your recipes, please keep them coming! You are making me the star of the kitchen in my house!! 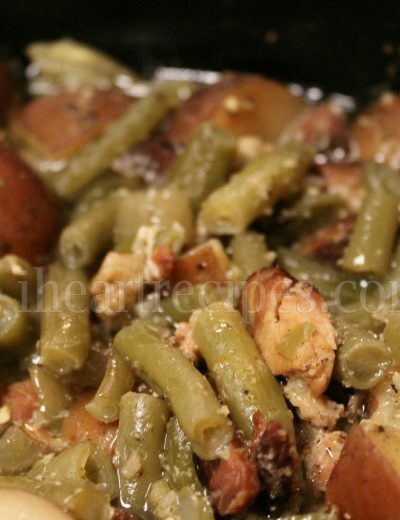 I have your greens, bread pudding, yams, and turkey wings and everything was amaaaazing! 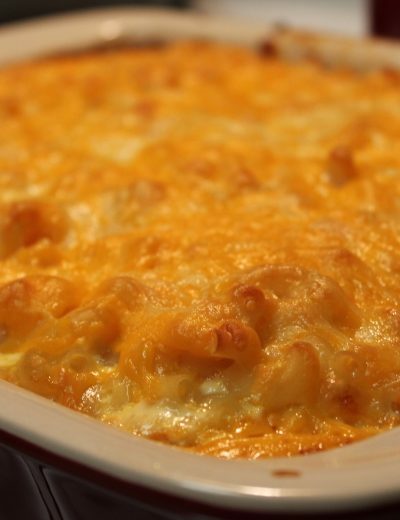 So, I have one crock pot and I’m using it for your mac n cheese recipe. Can I use this oxtail recipe but make them in the oven? Thanks!! And that was supposed say I have MADE your greens etc. You’re great! Thanks. Probably not. They still may be ok, but for best results, stick to the recipe. I LOVE all your recipes. They always turn out great. I couldn’t find oxtail rub so I used steak rub. Don you think it’ll still turn put good? They’re in the slow cooker as I type. Hey Rosie, greetings from NW Illinois! On the BBQ Oxtails recipe, it says 2 tablespoons of your homemade rub but only 2 teaspoons of store bought rub. Is this a typo or is it accurate? 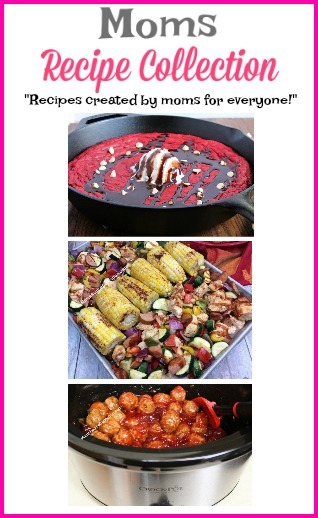 So anxious to try this recipe…they look so tasty! Thanks! Hi Ray! I actually never tried this with turkey tails, but it just may work! It’s my first time cooking oxtail and it’s my hubby’s birthday do u think he will love it. Hi Monica! 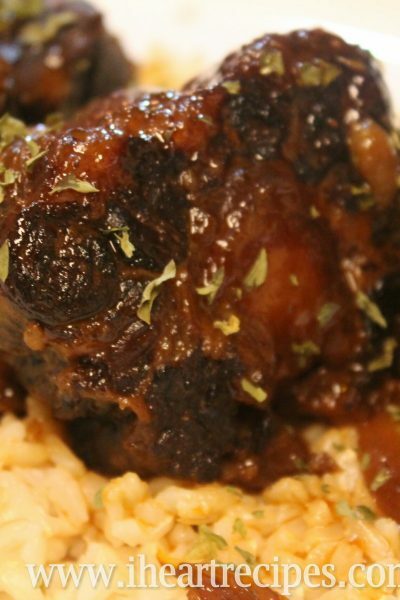 Be sure to check out my Smothered Oxtails recipe as well. 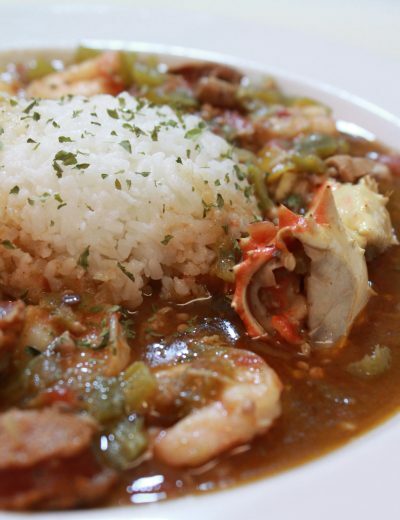 Both are made in the slow cooker, and both are amazing! 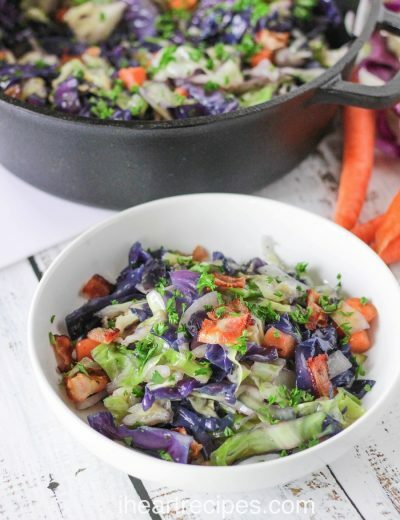 Can I make this recipe without liquid smoke? Where can I find the recipe for your homemade bbq rub. 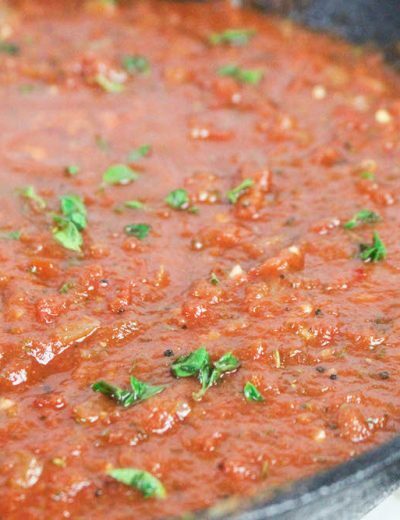 You can use your favorite sauce. 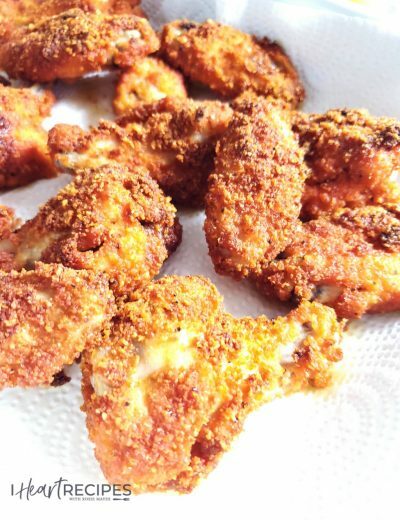 What is your BBQ seasoning recipe? I couldnt find it. Hi Rosie. 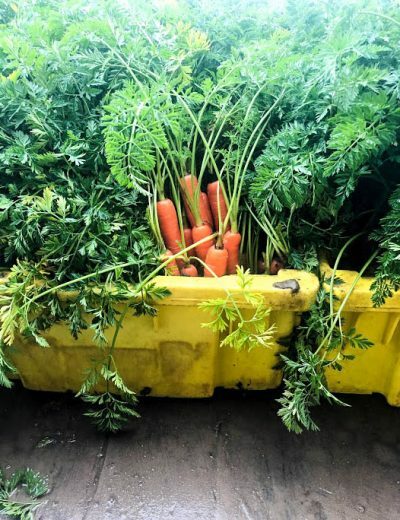 How do you think this recipe would be with beef tips? 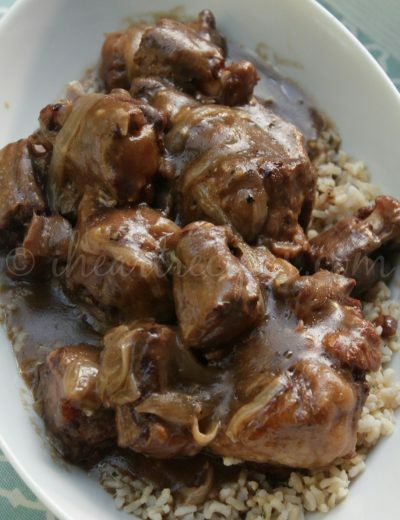 Usually when i make oxtails I also make beef tips since everyone doesn’t really like oxtails. I’m new to your recipe collection, and have I been missing something or what!! Your bbq rub and the way it’s used with bbq sauce is amazingly good! I really do appreciate your experience and sharing!! Thank you. Hi Janet!! I’m glad that you like it!